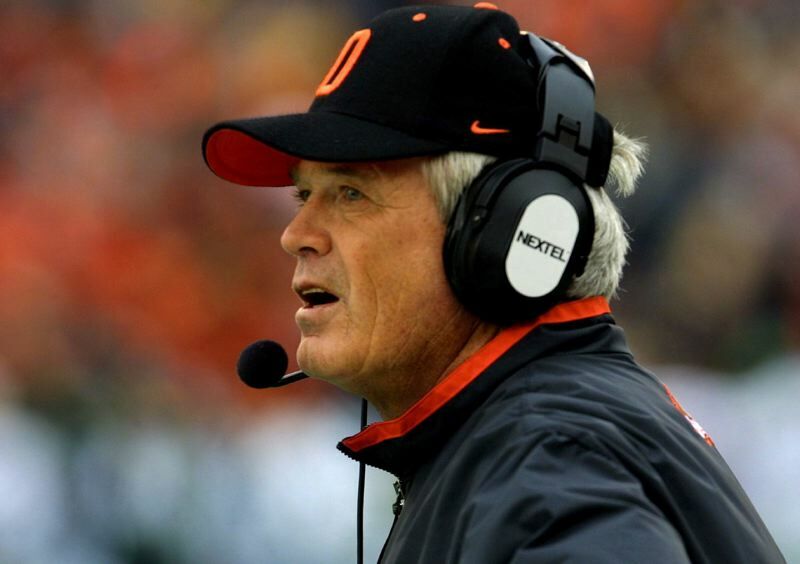 • Dennis Erickson says his impending induction into the College Football Hall of Fame is a "pretty awesome deal. It's a heck of an honor." Erickson coached at 11 schools as an assistant or head man through a college coaching career that has now spanned five decades. (He also served as head coach of the NFL's Seattle Seahawks and San Francisco 49ers). Erickson is the only man ever to win Pac-12 Coach of the Year at three schools — Washington State, Oregon State and Arizona State — and he won a pair of national championships at Miami. "I started at Idaho, and had a lot of fun there," Erickson says. "I had a lot of fun my two years at Washington State, too. Won two (national) titles at Miami and probably could have won a couple of more. I've said many times I enjoyed my four years at Oregon State as much as any place I coached. That 2000 team was one of the best I ever coached." Erickson seems just as excited to be back in coaching again for the first time since resigning as co-offensive coordinator at Utah in 2016. He is head coach of the Salt Lake Stallions of the Alliance of American Football, a new pro league that starts its inaugural season on Feb. 9. It's Erickson's first head coaching job since being fired by Arizona State after the 2011 season. "I like being back," says Erickson, 71. "I can't retire. It's not good for me." Erickson is surrounded by plenty of faces familiar to the Oregon sports scene. General manager Randy Mueller — who quarterbacked Linfield to the NAIA Division II national championship in 1982 — was GM in Seattle when Erickson was head coach of the Seahawks from 1995-98. "We've been friends for many years," Erickson says. "I'm the one who talked him into becoming our GM after I was named as coach." Three men on Erickson's new coaching staff worked for him at OSU — offensive coordinator Tim Lappano, O-line coach Dan Cozzetto and defensive line coach Michael Gray. Erickson has three former Oregon players on a 75-man training camp roster that will be cut to 53 by the end of January — linebacker Johnny Ragin, place-kicker/punter Matt Wogan and long snapper Tanner Carew. Former Erickson players are head coaches at both of the state's Pac-12 schools — Mario Cristobal at Oregon and Jonathan Smith at Oregon State. "Mario has done a remarkable job," Erickson says. "He has changed the culture of that program. He's a tough guy. That's how he played. That's his style, and he has brought that to his team. I can see (the Ducks) being real good for a long time. "Jonathan just doesn't have the players yet, especially on defense. When I was at Oregon State, we had a lot of veteran coaches who knew people throughout the country. We got players because of our relationships. His staff is a little younger, but it's an excellent staff. It has to be developed over a period of time, but it will happen." • The coach of the Arizona Hotshots of the AAF is Rick Neuheisel. Among the players on their training camp roster are six ex-Beavers — linebacker Obum Gwachum, running backs Terrell Ward and Tim Cook, tight end Connor Hamlett, safety Devin Chappell and receiver Richard Mullaney — and ex-Duck receiver Josh Huff. Beyond that, Neuheisel has a coaching staff that includes defensive coordinator Nick Alliotti and D-line coach Ron Aiken (both ex-UO) and linebackers coach Tim Hundley (ex-OSU). • Jake Luton turns 23 in April and already has graduated from Oregon State, but he couldn't pass up a chance to play a sixth college season of football. The 6-7, 235-pound Luton got the news Thursday that the NCAA has granted him a medical hardship season that will allow him to play for the Beavers in 2019. "I'm excited to be back for another year to help our program head in the right direction," Luton says. Luton, who started nine games over the last two injury-plagued seasons, will go into spring ball as the Beavers' No. 1 quarterback, but he will have to beat out sophomore transfers Tristan Gebbia and Nick Moore to keep the job. "Competition is good," Luton says. "That's the culture we have to build. I'm prepared for the rest of the guys in the quarterback room going out there to compete. May the best man win." It will be the first time Luton has played for the same coach for two years. Luton played as a redshirt freshman at Idaho, as a sophomore at Ventura (California) JC, and for Gary Andersen and Jonathan Smith his two seasons at OSU. "That was one of the factors in deciding to come back," Luton says. "For the first time in my career, I'll be able to play in the same system for consecutive years." Luton, who is interested in coaching once his playing career is over, has a degree in sociology. Now he'll get some more schooling paid for. "I'm trying to figure out if I want to go for my masters or get a second (undergrad) degree," he says. • Three months after resigning as third-base coach with the Seattle Mariners, Scott Brosius has been hired as USA Baseball's senior director of player development. "I'm excited about it," says the Putnam High and Linfield grad, who went on to play 10 years as a third baseman in the major leagues. "To get back here and start to see everything the organization is doing — it's really cool stuff." Brosius was calling from USA Baseball headquarters in Cary, North Carolina, where he was spending three days doing what he calls an "organizational download." 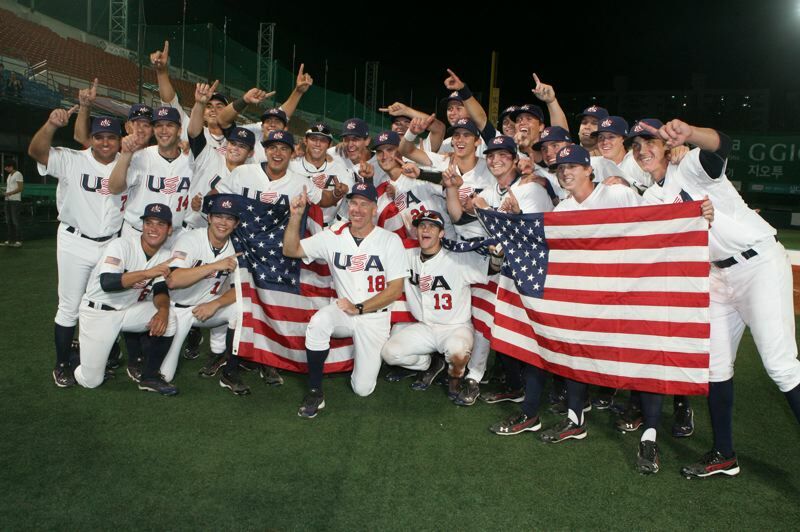 Brosius was familiar to USA Baseball officials after coaching its U-18 national team in 2011 and '12, claiming the gold medal at the U-18 Baseball World Cup in Seoul, South Korea, the second year. "USA Baseball has grown by leaps and bounds since then," Brosius says. Brosius says he accepted the job for two primary reasons. "One, my experience with USA Baseball was unforgettable," he says. "There is something truly special about wearing that 'USA' on your chest and representing the country in that way. "What also moves me is the opportunity to work on the development side. USA Baseball reaches kids as young as 12 years old. Some might be with us through college and into the pros. We'll touch a lot of kids. I'll get the chance to teach them about baseball and more importantly about being good teammates and citizens and developing the person and not just the player." Brosius will be able to work remotely from his home in McMinnville. "I'll come out (to Team USA headquarters) at last quarterly," he says. "I'll be on the road over the summer, as the national teams play, to get prepared for international competition." • Bill Schonely represented the Trail Blazers at the memorial service of inaugural franchise owner Larry Weinberg in Los Angeles last Friday. Then "The Schonz" retreated to the Weinberg home in Beverly Hills, where he visited with the owner's widow, Barbi, and other members of the family and extended family. "Barbi and the family were so nice," reports Schonely, the longtime radio voice of the Blazers who spoke at Weinberg's service. "Their house — it's a gorgeous place — is loaded with Trail Blazer pictures and memorabilia. That family truly loves the Trail Blazers. To this day, they watch our games on TV." • I've written this several times over the years, but it seems appropriate to toss it out there again: The NBA should take fan voting out of the All-Star Game. Fans vote in the five starters for each team. Coaches fill out the rest of the rosters. The most recent fan vote has Minnesota's Derrick Rose second behind Golden State's Stephen Curry among Western Conference guards. Rose has played well mostly coming off the bench for the Timberwolves — averaging 18.9 points — and seems a likely candidate for the Most Improved Player Award. But there's no way he deserves to start instead of the players behind him on the West list — Houston's James Harden, Oklahoma City's Russell Westbrook, Golden State's Klay Thompson and Portland's Damian Lillard. Miami's Dwyane Wade — averaging 13.9 points in a reserve role — is second behind Boston's Kyrie Irving among East guards. Uh, no. Atlanta's Vince Carter, at 41 averaging 7.2 points, is No. 7 in the East frontcourt. Really? Then there is DeMarcus Cousins, 10th in voting for West front-line players though he has yet to play a minute for Golden State. It's a travesty. It's been going on for years, but that doesn't mean it should continue.